A healthy school promotes physical and emotional health by providing accessible and relevant information and equips pupils and staff with the understanding, skills and attitudes to make informed decisions about their health. Pupils flourish in a posi tive environment and are given a voice to influence whole-school decisions. A healthy school understands the importance of investing in health to help pupils do their best, raise levels of achievement, improve standards and develop policies and practices to promote health. Please visit other parts of our website to find out how we are promoting healthy lifestyles through many areas of the curriculum. At Hiltingbury Infant School we believe that every child has the right to develop a healthy lifestyle and a positive attitude towards eating and drinking in preparation for their future. We think that a healthy diet and the child’s ability to learn effectively are connected. 60 Minutes to Move – a topic in which children learn about their bodies and keeping healthy. Here comes summer – a topic in which the Year R children grow some of their own salad and vegetables and then design and make a healthy Teddy Bear’s picnic to which the feeder pre-school children are invited. Happy and Healthy – a topic devoted to healthy lifestyles where the children hold a food festival and a keep fit day. Ahoy There – a topic in which the children visit HMS Victory and learn about the effects of a restrictive diet during long sea voyages and consequently about the importance of a healthy balanced diet. 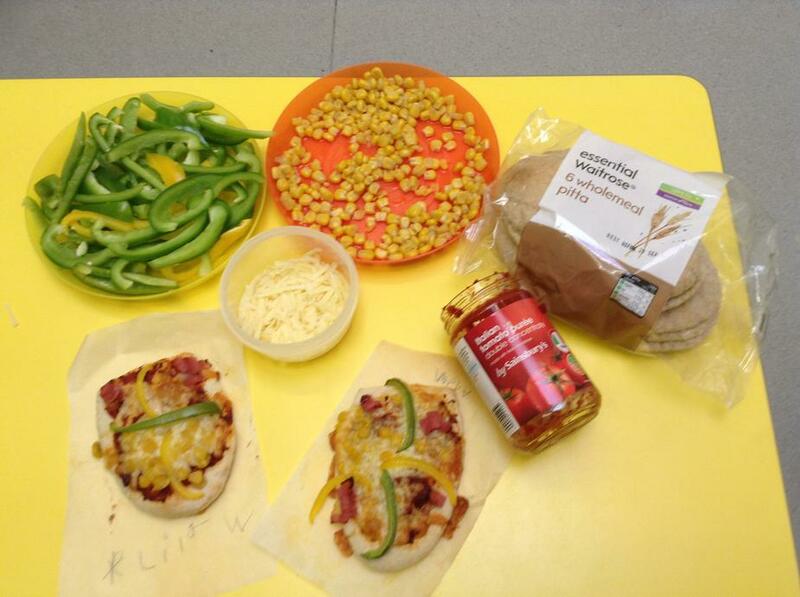 In cookery Year 2 children also have the opportunity to design and make a healthy meal for a famous person and also to design and make a healthy wrap. Each child receiving a healthy fruit or vegetable snack at playtime which is provided free through the School Fruit and Vegetable Scheme (SFVS). Each child having their own water bottle easily accessible throughout the day. Provision of a school milk scheme which parents can subscribe to. HC3S (Hampshire County Council Catering Services) who provide tasty meals which meet the current government nutritional standards to all pupils who require them. Encouraging parents to provide home packed lunches which adhere to our Healthy Lunchbox guidelines. A Whole School Food policy which outlines clearly our expectations for healthy eating on the school site. 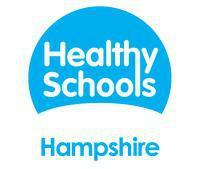 We are proud to be part of Hampshire Healthy Schools!